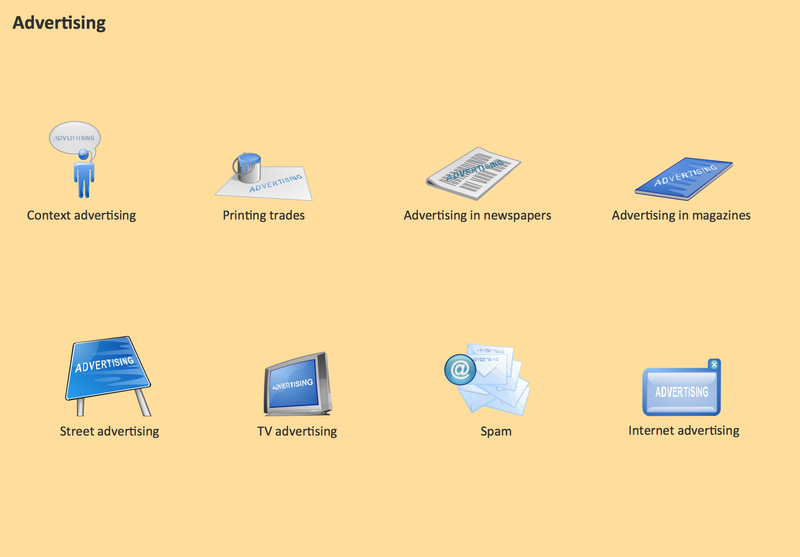 The vector stencils library Advertising is included in the Business and Finance solution from Illustration area of ConceptDraw Solution Park. Use it to quick draw illustrations, diagrams and infographics for your advertising and marketing documents, presentations and websites. Take a look which samples and templates of currency (paper money and coins symbols and illustrations) we have prepared for you. Program libraries contain vector cliparts elements for drawing the Currency Illustrations and plenty pictures with Money thematics. ConceptDraw Pyramid Diagram software allows drawing column charts using predesigned objects or drawing tool.